Individual & Relationship Counsellng & Hypnotherapy. I practice as an Integrative Psychotherapist which means I can be flexible in how I work with you, using a range of therapeutic approaches and counselling skills to meet your needs. I have experience in working with clients in areas such as relationship issues, anxiety, depression, bereavement & loss, self-esteem & confidence issues. I offer a safe, confidential therapy room or on-line sessions. A wide range of Integrative Psychotherapy can be used to explore current issues and the present ‘here and now’ feelings and emotions, or look at past experiences, and will help to create a sense of who you are, how you function and how you feel in different circumstances. Aside from private practice, I also work as a Senior Lecturer at the University of Central Lancashire. I am a Registered Nurse, as well as working in Higher Education as a Nurse Tutor and I support students from a range of nursing and allied health professions in developing leadership skills, continuing professional development and clinical supervision at undergraduate and postgraduate level. I have experience in coaching and mentoring. I also provide psychotherapy and counselling sessions to a local charity. Overall, this means I have experience of working within the healthcare setting for 20 years. I am an integrative psychotherapist, working privately from my office in New Hall Lane Heaton. I offer supervision to both qualified and trainee counsellors and psychotherapists undertaking diploma, degree or masters programmes. 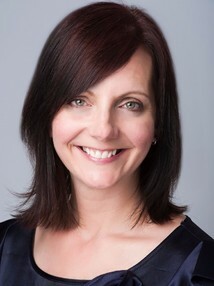 Please see my therapist profile for further information, or my webpages on www.amtalktherapy.co.uk where my background and qualifications are listed.